Our Tampa Personal Injury Lawyers have represented hundreds of people that have been injured in both Tampa, Florida and throughout the state by no fault of their own. In 95% of the Tampa, Florida accident cases that we handle our accident attorneys can tell you within a matter of minutes whether you have case. The best way to know if you have a case is to call us for a free phone consultation. Whether you are a Tampa resident or were injured in Tampa, our attorneys are available to discuss your recent accident. Tampa, Florida is located on the west (Gulf) coast of Florida. Tampa, as well as surrounding cities, are collectively referred to as the “Tampa Bay Area” which includes St. Petersburg and Clearwater. This metropolitan area is the second largest in the state. Due to the large, spread out nature of the area, many residents commute to work. Residents of the Tampa Bay area utilize I-75, which stretches from Florida to the Midwest, and is one of the most dangerous and congested highways in Florida. Additionally, Dateline NBC concluded that US Route 19 which runs from Tampa to Erie, Pennsylvania, is the most dangerous road in America with extremely high per capita deaths recorded along the Florida expanse of the road. 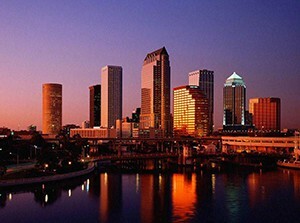 Tampa also provides a variety of leisure activities for residents.